A simulation shows gravitational waves coming from two black holes as they spiral in together. Far from our galaxy, in the vast darkness of space, two massive black holes merged into a single, larger hole. And now researchers say they have detected rumblings from that cataclysmic collision as ripples in the very fabric of space-time itself. The discovery comes a century after Albert Einstein first predicted such ripples should exist. "It&apos;s a really big event," says Saul Teukolsky, a theoretical astrophysicist at Cornell University. "This is probably the most exciting episode of my professional career." Einstein predicted the existence of such ripples, known officially as gravitational waves, in 1916, as part of his general theory of relativity. General relativity re-imagines the gravitational pull between heavy objects like the Earth and sun as a "warping" of space and time. When very heavy objects such as black holes are involved, the theory predicts that gravitational waves will emerge and ripple across the entire universe. That&apos;s the idea. But in practice, seeing such gravitational waves has been nearly impossible. To make detectable waves, massive objects must be moving quickly. Researchers predicted a collision between two black holes would do the trick. But nobody knew how often that might happen. Nevertheless, scientists built two massive detectors to take a look. Known collectively as the Laser Interferometer Gravity-Wave Observatory (LIGO), the detectors are located in Washington state and Louisiana. They are separated by thousands of miles in order to detect ripples coming in from deep space as they pass through the Earth. Each detector looks like a big L, made up of two tunnels 2.5 miles long. It&apos;s designed so that if a gravitational wave passes by, it will stretch space along one direction of the tunnel and squish space along the direction of the other. The stretching and squishing changes the tunnels&apos; lengths by a tiny amount, and that change can be detected by lasers. 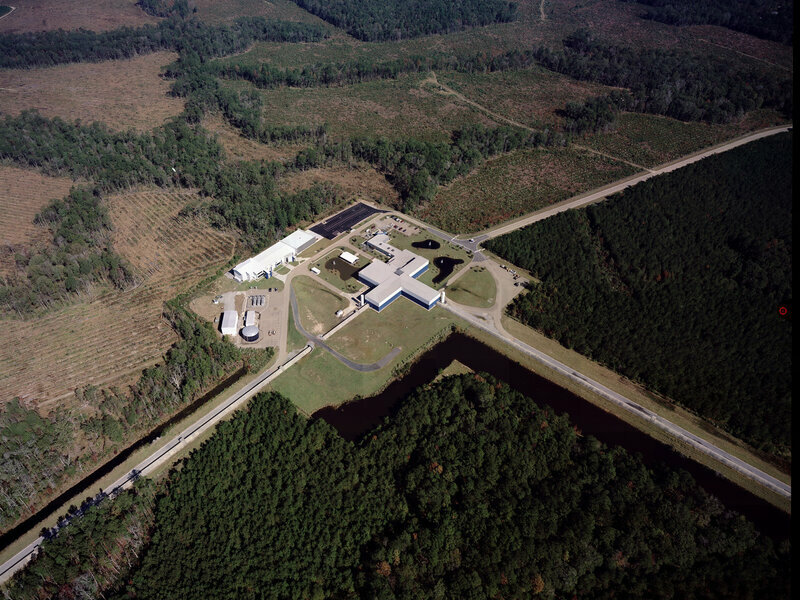 Although LIGO was completed in 1999, it took more than a decade for it to see anything. The detectors had to be made incredibly sensitive to pick up the tiny waves. But they were so touchy, they were set off by everything from minute shifts in the earth&apos;s core, to traffic entering the parking lot. And even after researchers got rid of all the terrestrial jiggles, LIGO still wasn&apos;t quite good enough to see gravitational waves. All that changed after a major upgrade in 2014. Better vibrational isolation and upgrades to lasers and mirrors dramatically boosted the instrument&apos;s power. And the black hole collision was seen almost as soon as the team began observing again in the fall of 2015. On September 14, at 5:51 AM the waves passed through both of the detectors. According to a paper published in the journal Physical Review Letters, the two black holes were each roughly 30 times the mass of the sun. They merged some 1.3 billion light years from the Earth. The waves were generated in the final moments before the black holes merged. The signal was brief but definitive. 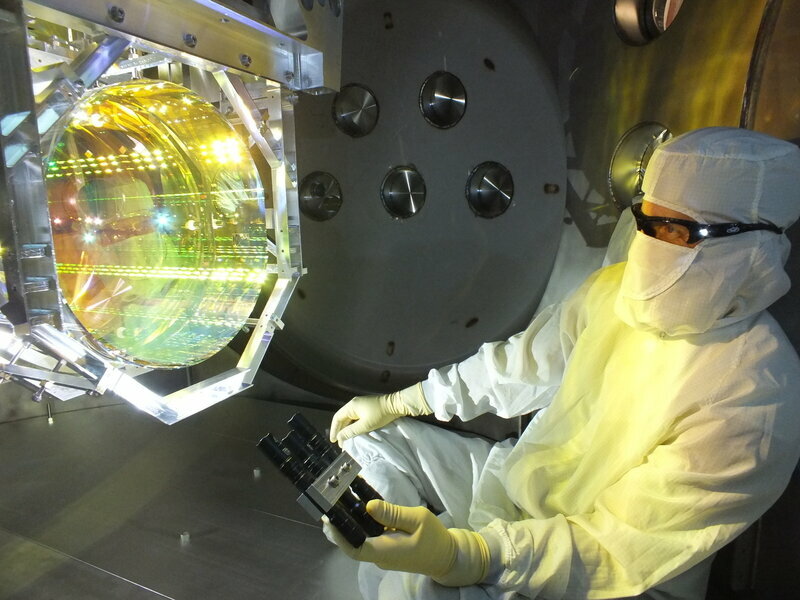 The measurements are dramatic proof that gravitational waves exist. The signal in the detector matches well with what&apos;s predicted by Einstein&apos;s original theory, according to Teukolsky, who was briefed on the results. It matches predictions of the ripples produced by two large black holes, in the final moments before they merge, swirling together at an enormous speed. This is, arguably, the most direct observation of black holes ever made. Because black holes are (as their name implies) "black", they can&apos;t be seen with ordinary telescopes. Up until now, their existence has been inferred by looking at the stars and gas swirling around them. This gravitational signal comes directly from the holes, and it is virtually incontrovertible proof that the holes are out there. "If black holes didn&apos;t really exist, you couldn&apos;t explain these waves," he says. Other researchers believe that the gravitational waves could tell us even more about our cosmos. "It&apos;s like looking at the Universe with new eyes, the amount of information that&apos;s there is going to be amazing," says Mina Arvanitaki, a theorist at the Perimeter Institute of Physics in Waterloo, Canada. Arvanitaki will use LIGO&apos;s data to probe for undiscovered fundamental particles that might only exist in the warped space around black holes. Teukolsky says the discovery shows just how extraordinary the natural world can be. "The Universe is stranger than any kind of fiction we could imagine," he says. "I mean it&apos;s preposterous."